For generations, the YMCA has been known for its commitment to family life. YMCA programs and services have grown and adapted to the changing needs of families. Today, more and more parents are looking for quality, affordable child care they can depend on. Whether your child is attending the Y Preschool, After School, or Summer Day Camp, our goal is to provide a safe, fun environment. Like all Y programs, child care is open to all, with financial aid available. Our staff will support and nurture your child’s development. Together with you, the parent, we can help our children grow up healthy, happy and strong. As an Arizona State Licensed facility, we are inspected annually. Parents may review inspection reports at any time. Our YMCA Child Care Programs are DES certified. It is the responsibility of the parent to meet with DES and make the necessary financial arrangements, prior to attending the program. The Y must receive a verbal or written authorization from DES to verify reduced rate. Full rates will be charged until there is DES verification on file. Parents are responsible for any unauthorized time not paid by DES. A signed Parent DES Agreement needs to be completed. An annual non-refundable $30 registration fee per child is required for enrollment. Registration fee is valid June 1, 2018 to May 31, 2019 (fee is not prorated). All children must have a completed registration AZ State Emergency Information Card (blue card) with current immunizations on file prior to attending. A signed Additional Student/Parent Information Form, Liability Waiver/Photo Release, Best of Care Form, Parent Statement of Understanding, Parent Agreement, Behavior Policy, DES Parent Agreement (if applicable), Child Illness Policy and Day Camp Permission Slip. Download Enrollment Forms. Parents will receive a 2019-2020 Parent Handbook upon registration. Please review this important packet with your child, before their first day of attendance. . So that we can effectively plan our week, all YMCA Child Care programs are weekly, prepaid programs with payments due, in full, the Friday prior to each program week. A $10 late fee will apply for payments received after Friday including adding additional days. There are no refunds, transfers or credits for prepaid child care fees. Consider a YMCA Membership for your child and/or family. A Membership will reduce your weekly child care/camp fees. Sign up today. Leadership is the key to a successful child care experience. 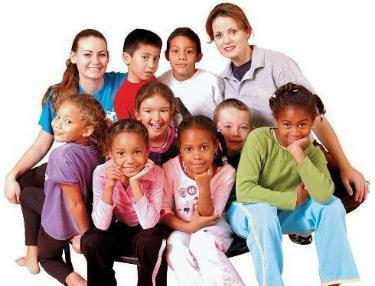 All child care programs are under the direction of a YMCA–trained Coordinator. Leaders are chosen on the basis of their interest in youth, previous experience, education, training and emotional maturity. Our staff blends together to bring about a diverse experience, with creativity to programs, while making them safe, fun and exciting. A monthly child care newsletter will be available along with snack and activity schedules.